Jodi Stemler Consulting has worked with the Theodore Roosevelt Conservation Partnership (TRCP) on a number of projects over the years. 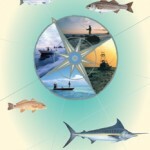 TRCP was the very first client for Jodi in 2005 working on marine sportfishing issues, and they have partnered together regularly over the years. Projects have included event management, report development and communications and policy work.